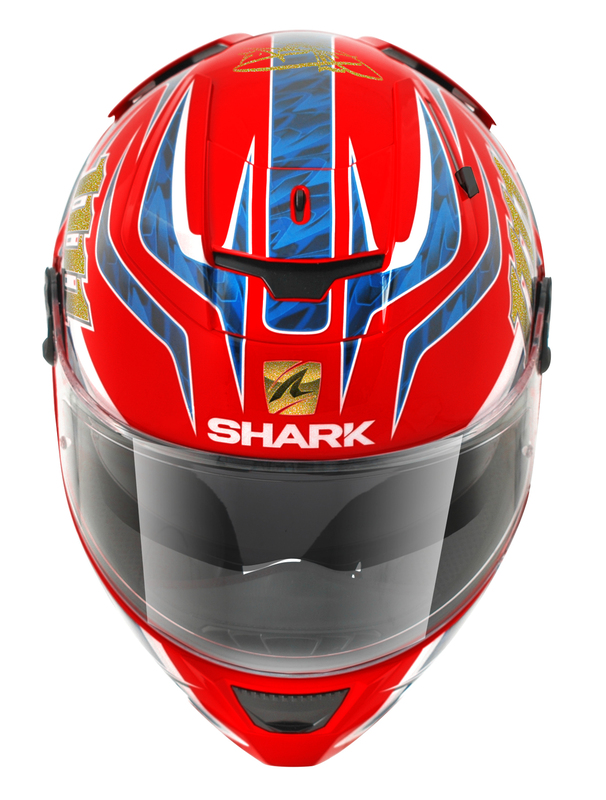 In celebration of the 20th anniversary of Foggy winning his first World Superbike Championship title, SHARK has launched a limited edition replica helmet. 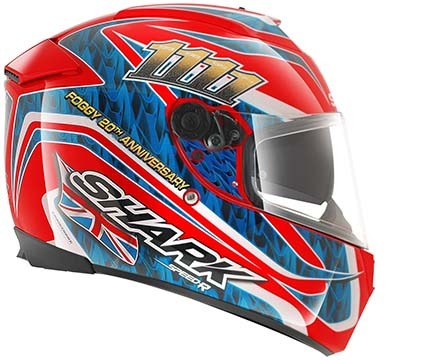 The replica design is on the Speed-R Series2 model and features Foggy’s unique design with the Union Jack flag, a shark in the wreath and his blue and red colours. 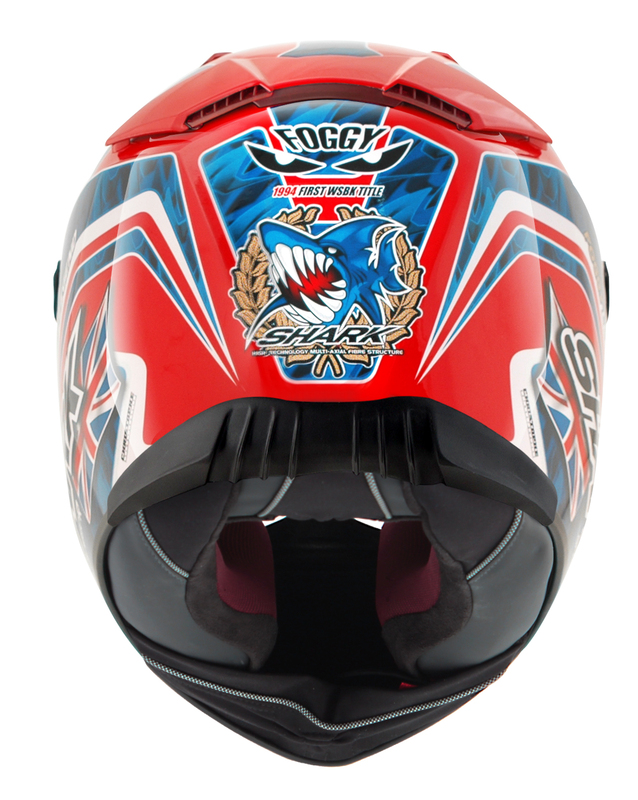 The limited edition model also displays Foggy’s signature on the top as well as four number ones to celebrate his four championship titles. Carl said: “It’s great to be back with SHARK. It has proved a winning combination in the past and, with this great design, I’m sure this replica will also be a winner. The Speed-R Series2 has been redesigned for 2015 with a new rear spoiler, new lower rubber spoiler and a new sun visor mechanism. As well as a new upper vent and a new visor grip system. 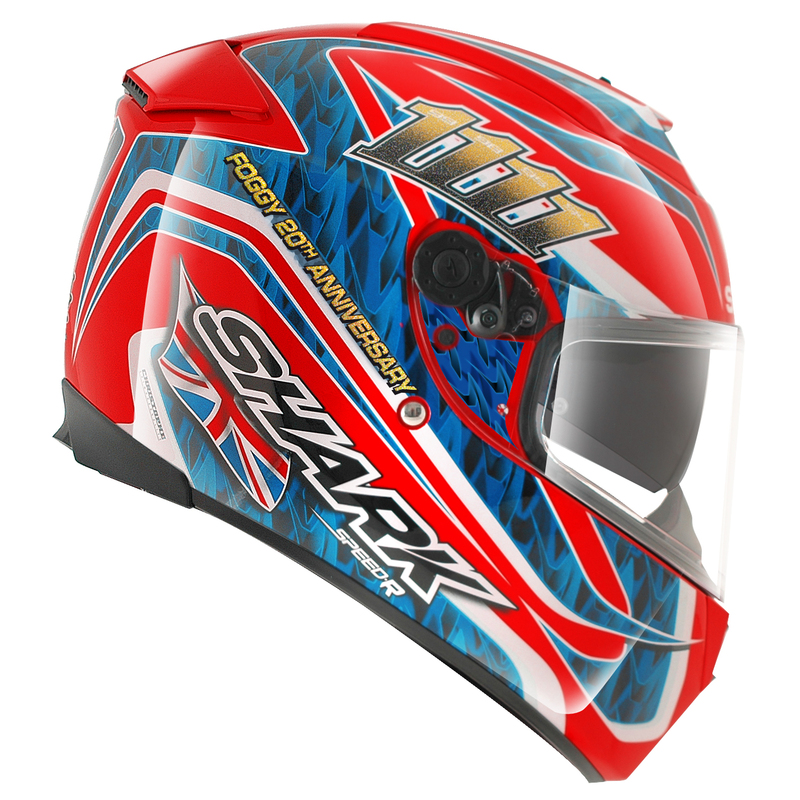 The helmet is constructed from the latest generation composite fibre and weighs just 1450g without compromising on any features. It also has SHARK’s Easy Fit system for glasses wearers and a double D-ring strap. The Speed-R Series2 has a Sharp rating of four stars. 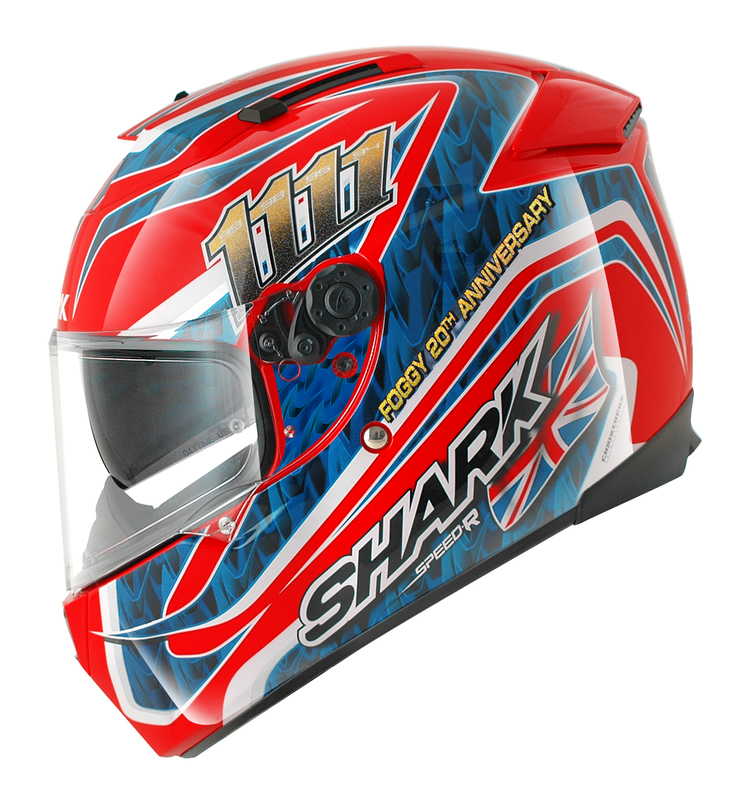 The graphic will be available in dealers from December with an RRP of £309.99. The replica is also available in a black and white version.